Microbiology as a science has expanded by leaps and bounds in the past few decades due to advancements in sophisticated instrumentation and recombinant DNA technology, which added a new dimension and revealed an understanding of the subject at the molecular level. Microorganisms are highly ubiquitous in nature and manifold in their activity. Interest in microbiology increased quite significantly due to the wide application of microorganisms in studying different biological processes. An attempt has been made to introduce the readers to several areas of microbiology and microbial biotechnology, and to provide insight into basic concepts of biology and practical applications of microorganisms. To assist the readers in understanding the text, several illustrations and figures have been incorporated in the current volume. The topics covered in this volume are arranged in such a way as to maintain the thread of continuity with Volumes One and Two as well as to make it easy for those who are not acquainted with Volumes One and Two of the series. 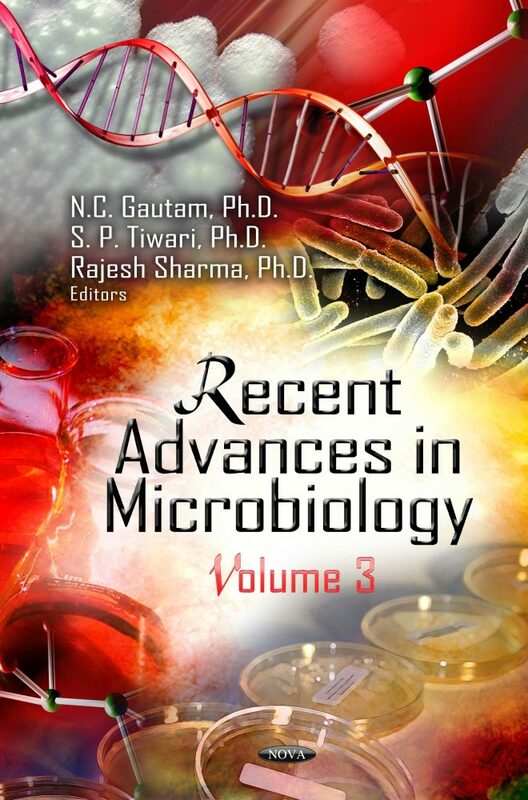 The editors believe that the previous book of the series, Recent Advances in Microbiology, Volumes One and Two, would also be helpful to readers in strengthening their concepts about different areas of microbiology and microbial biotechnology. The present volume has been complied with the help of leading microbiologists from India and other countries, with an objective of providing current developments in the field of microbiology. This book will be useful for under- and postgraduate students, academicians, researchers and laboratory personnel from disciplines like microbiology, biochemistry, veterinary science, medicine, pharmaceuticals, agriculture, food science, environmental science, industrial microbiology and other allied biological sciences. Audience: Post Graduate students and researchers in the field of agriculture, medical, veterinary, industrial and food microbiology.